Since being acquired from the Toronto Blue Jays at the trade deadline pitcher J.A. Happ (15-6, 3.90 ERA) has lived up to the hype as he’s been everything the New York Yankees had hoped for and then some. After moving to the Bronx, the veteran lefty shined in his first start for New York on July 29, winning his pinstriped debut with a gem as he pitched six innings allowing three hits and one earned run. On that day Happ was just giving Yankee fans a glimpse of things to come. After a brief stint in the disabled list due to illness, the left-handed flamethrower began August with a solid outing against the Texas Rangers. Happ struck out nine Rangers over six innings and earned the win on August 9. 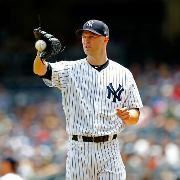 Five days later Happ took the mound against the division rival Tampa Bay Rays and delivered his best start to date for the Bronx Bombers throwing seven scoreless innings of one-hit ball and showcasing his A.L East dominance. Happ made three more starts in August, going 2-0 with 20 strikeouts, which tied him for fourth best in the American League over that span. Happ ended August pitching in five games, going 4-0 (tied for the A.L lead) and posting a 3.77 ERA. The 35-year-old recorded 33 strikeouts (more than one per inning) and posted a strikeout-to-walk ratio of almost five to one. Happ has had five quality starts in seven outings since joining the Yankees and sports a 3.10 ERA to go along with a 40 to nine strikeout-to walk-ratio over 40.2 innings of work since the trade. He has simply proven to be a stabilizing force for a rotation that has seen its good share of injuries and struggles in 2018. Happ is scheduled to make his next start on Monday against the Twins in Minnesota.